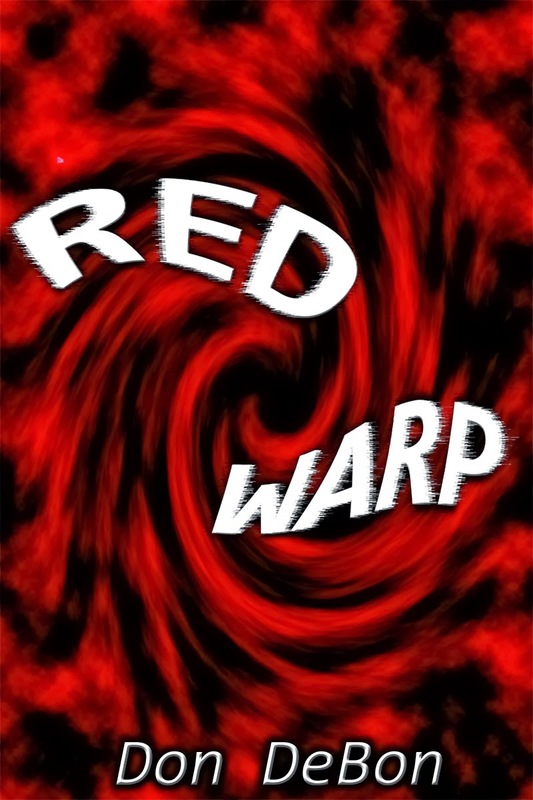 Red Warp is now available at iBooks, Kobo, Barnes & Noble Nook, Kindle, Oyster, and Smashwords! If you could travel through time with just yourself and no machine needed, would you? Meet Red, a woman with a amazing gift, the gift of passing though time and space without the need of any bulky equipment. The places she has seen, the people she has helped will blow your mind. Red Warp launches on December 2nd and it is available for pre-order now at Apple iBooks, Kobo, and Barnes & Noble Nook. It will be released to Kindle, Sony, and Smashwords on the 2nd. She looked around the room and sighed flicking her long red hair over her shoulders as she stood up. She knew that it would drain her beyond normal limits, already being so very tired, but there was little choice. They would be back soon and then her time would be up. They wanted her power, or thought her insane. While most didn't really believe, they would soon! And to think she came to help them! She looked around the small room again. She picked up the four heavy wooden chairs and placed them on the table that took up almost the entire space. She sighed again and pulled the zipper of her skin tight black bodysuit all the way up, past her neck. She hoped there was enough room. She had never done it in such a small space before. Looking off into the distance and with great concentration she began to run. In a circle ... faster and faster. Air began to swirl around picking up several papers that were on the table and flung them into the wind. Faster and faster she ran. "I must DO this!" She muttered and increased her speed again. One of the chairs flew off and were now following her swept up in the whirlwind. A storm had formed. A storm of her own making. And with the crack of thunder a bolt shot from the center and the room reeked of ozone. She increased her speed once more but began to feel the storm's draining effect and knew she was out of time. With a loud KABOOOM that shook the whole building, a warp had formed. A rip in the very fabric of space and time. She knew there were only seconds before they came running in here. The table cracked, splintered, fell in upon itself, and disappeared as the warp grew gaining strength. A microsecond later the door burst open with armed men ready to do battle, but with the storm all they could do was hang on to the door frame as the great forces pulled them horizontal. The warp was smaller than usual, but she could not go any more. It was enough. She ran for it and jumped into the angry swirl of color. With a loud CRASH it closed in upon itself and instantly the wind died. People and the chairs fell to the floor with a thud. Stars in a multitude of colors streamed past her vision. She knew they were not real stars but she was beyond what her mind could comprehend, making them look like stars. As quick as it started, it stopped. She fell to the ground on a soft patch of grass. Gazing around she saw trees, lush streams and heard birds chirping in the background. She knew it was not a matter of where she was but when. She closed her eyes and muttered "I must rest" and fell into a deep sleep. Red Warp, my latest novel is finished and launches in December. It will be available for pre-order on Apple iBooks, Barnes and Noble, Kobo! On December 2nd it will also be available on Amazon's Kindle and Smashwords. I will be posting small excerpts from now until Launch Day! Be sure to sign up for updates! As anyone keeping up on recent news in the ebook sphere can tell you, something very interesting has developed recently. Oyster is a new subscription service for iOS (iPhone or iPad) that allows one to download and read as many books as you want for a flat monthly fee. Very similar to the movie service Netflix or music service Spotify. Although with those you need a internet connection to play the media. Oyster allows you to download the books and read them even if you are not currently connected. For example you could still read the book you just downloaded on a airplane. Apparently they have over 200,000 currently published books (in other words not freely available elsewhere) in their library which will only grow from here on. Amazon's Kindle lending library has something similar but only for those in Amazon's Prime service. Also they are only allowed one free book per month. Authors that do allow their book in Lending Library get paid every time their book is borrowed. The amount varies, but in general about $2.00 USD. The downside of this is you must be in the KDP Select program and therefore your book is exclusive to Kindle. Oyster is also paying authors royalties with the same premise, however without requiring any exclusivity. If anyone reads more than a sample of your book, you get paid. If this catches on, it could change the entire publishing industry. From content you purchase up front, to a service you subscribe to. Now I don't see the whole thing changing over night, and it does have its downsides. Personally I like owning my books instead of subscribing to a service, but I wouldn't be apposed to using the service to check out new authors. Similar to going to a library first, then buying later what I like. Either way this is a great service to readers and authors alike. And for those already published though Smashwords: They signed a distribution agreement with Oyster. Books should be shipping to Oyster by the end of September! For those authors that want to be in on this great new service, they don't have to do a thing, just as long as they are Premium Catalog-approved. Of course if you don't, then it easy to turn off sending your book to Oyster with the catalog settings. But I don't see why anyone would want to. While only for iOS, the app is coming soon to other platforms. Which is interesting since Oyster said at launch they were only planning for iOS. Apparently the large outcry for Android (and Windows) changed their minds. In short keep a eye on Oyster, they are posed to become the pearl of ebooks. Italian Fever has been published now for one year, and in honor of this I have decided to mark the book as free for a limited time on Smashwords and Kobo! And for .99 on Kindle and Nook. Italian Fever has a little bit of everything: Romance, Action, Sci-Fi so it has hard to place in just one category. Also the Sci-Fi aspect doesn't show itself for several chapters leading one to think it isn't actually Science Fiction. I am pleased with the sales and I thank everyone who purchased my book. And for those that have been asking, YES I am hard at work on my next novel. I still have a few chapters to finish and editing to do, but it is mostly complete. I hope to have it out before Christmas. "Ok," Riccardo said his fingers poised over the keyboard. "Here goes." He began keying in the long number sequence then added the unicode sequence as Crystal described. A moment later they were greeted with "Passcode Accepted. Would you like to retrieve your account now?" Riccardo pressed "Yes" and the screen flashed "Thank you. Please stand by." A few moments later the four foot square door slid up and a robotic arm placed a three foot box on the platform under it. Then the arm retracted and the door closed. The box was white except for the large black Z emblem on the top. Riccardo tentatively felt its weight, while heavy it was not extreme and placed it on the table. Upon opening the overlapping plastic cover flaps they found a cardboard shipping box almost as large. The second box contained large but thin stone tablet, a notebook and a small digital device of some sort. All were carefully packed. "What is this?" Crystal asked picking up the small digital device. It was almost six inches long but very thin. Definitely something designed to be hand held. "It is a small holographic video recorder he was working on. I know Terrance often made notes with it as well." Riccardo said as he looked at the device then frowned after gazing at its now lit screen. "There is only one file here, and it had to be right after I met with him." He pushed play and light flashed around the room slowly resolving above the table into the image of Professor Terrance Croorlheart looking very haggard and as though he had not slept in weeks. He spoke in heavy rough accented Italian voice. "My friend, if you are seeing this then I have failed to bring to the world the greatest discovery mankind has ever seen. It has the potential to rewrite everything and change the course of human endeavors. I had hoped to show you this in person and have you help me, but due to people that want this discovery for selfish reasons I found myself needing to take flight. I can't get into the details of my discovery here as I do not have time. Nor do I trust that this location is that secure. I suspect I am being watched. I have been watched for weeks. Everywhere I go there they are. I can't seem to loose them. His reach is too great. I only hope you can do better than I." "Wow." Crystal said in a hushed tone and Ricardo quickly put a finger by his nose for silence. "I am sending my notes, this recording and the center item that started all of this to Zero." The Professor continued. "It should be secure there until you can retrieve it. I will get the key to you somehow. Please take good care of this. I know you will. I am only sorry I couldn't show and explain it to you in person. God Speed my friend." And with that the hologram dissolved into random light beams before disappearing entirely.